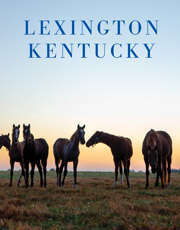 LEXINGTON, Ky. - VisitLEX today announced the Lexington Hospitality Award winners for 2017 during an awards luncheon at the Hyatt Regency. The award honors front-line, non-managerial staff and volunteers in the tourism industry who have demonstrated exceptional service. It is the second year of the awards and the first time it was open to workers throughout the Bluegrass Region, where tourism employs more than 26,000 people and contributes $3 billion to the economy. "They are the unsung heroes of hospitality in our community," said Mary Quinn Ramer, president of VisitLEX. "These award winners have gone the extra mile to make visitors feel welcome and have a memorable experience."